Stockholm Pass - Attraction card filled with free attractions and sightseeing. Like a discount card. 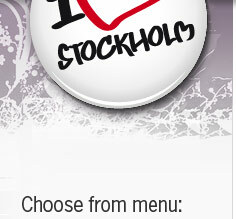 Stockholm in one discount card. Stockholm Pass is an experience card filled with free entrances to over 60 attractions, museums and sightseeing tours in Stockholm by bus and boat. You buy the card at a fixed price and visit as many attractions as you can over a number of days. The more you see and do the more discount you get on the regular entrance fees, it is like a discount card. The Stockholm Pass is ideal for those who want to experience as much as possible of Stockholm at a discounted price. Stockholm Pass is valid for 1, 2, 3 or 5 days. Cards for adults and children. Free travel on all days your Stockholm Pass is active! Unlimited travel on Stockholm Open Top Tours hop-on / hop-off buses during all your valid card days. The bus goes between all of the Stockholm sights. Stops are available at several places in the city. On board you will be guided via ear phones in different languages. In the Summer you can sit at the top of the bu, in the open air, with no roof. Unlimited travel on Stockholm Open Top Tours hop-on / hop-off boats during your valid current days. Stockholm has a beautiful waterfront and this boat tour will take you to among others the Vasa Museum, Djurgården, Gamla Stan (Old Town) and the Royal Palace. A nice way to discover this beautiful city. Jump on and off the boat as much as you like. Stockholm's most visited attraction. In 333 years the Vasa ship was hidden on the ocean floor. Now she stands above the surface for you to see. Visit the beautiful Royal Palace. It is one of the world's largest palace. View the Hall of State, and the Royal Apartments and more. Stockholm's famous amusement park. Amuse your selves hera a day and go for a ride on the roller-coasters. Fun for both kids and adults. Skansen is the world's first open-air museum. You will also find local area animals. Very nice to visit both during Summer and Winter. Enjoy a beautiful boat tour on S/S Stockholm to Vaxholm. Here you also find the Vaxholm fortress. Ride in a gondola up the Globe's wall about 100 meters. A trip that takes you up to the top with a fantastic view. Free boat sightseeing with audio guide under the Stockholm bridges. Experience the beautiful historic buildings. For photo enthusiasts. Fotografiska is the world's largest space for contemporary photography. There is a nice view from the bar on the top floor. Experience the magic of fairy tales at Junibacken. See how Emil, Pippi, Ronja and all other fairytale characters have it .... and play!! NOTE! Junibacken take admission from 2 years. In the Treasury they keep the Swedish regalia. See treasures like King Gustav Vasa's sword, orb, scepter and several beautiful crowns that is worn by the Queen and Princesses even today..
See the history of the Nobel Prize, Alfred Nobel, and the Nobel Price winners. Free admission with the Stockholm Card. Free boat trip to Birka. Birka is said to be Sweden's first town. Located on the island of Björkö in Lake Mälaren. If you like to travel on Stockholm public transport you can add a travelcard to your Stockholm Pass. Then you can travel as much as you like on the public buses, trams, boats and subway. Children under 7 years travel for free on public transport together with an adult with valid travelcard. You buy one card per person. Adults and children (6-15 years). Children card (6-15 years) can only be purchased with an adult card. For children under 6 years there is no card when most attractions are free for that age. The card is activated the first time it is used. The date and time is noted in the card. For example purchase a 2-day card and activate it at 2PM and the card is valid til 2PM two days later. The card is valid during consecutive days. 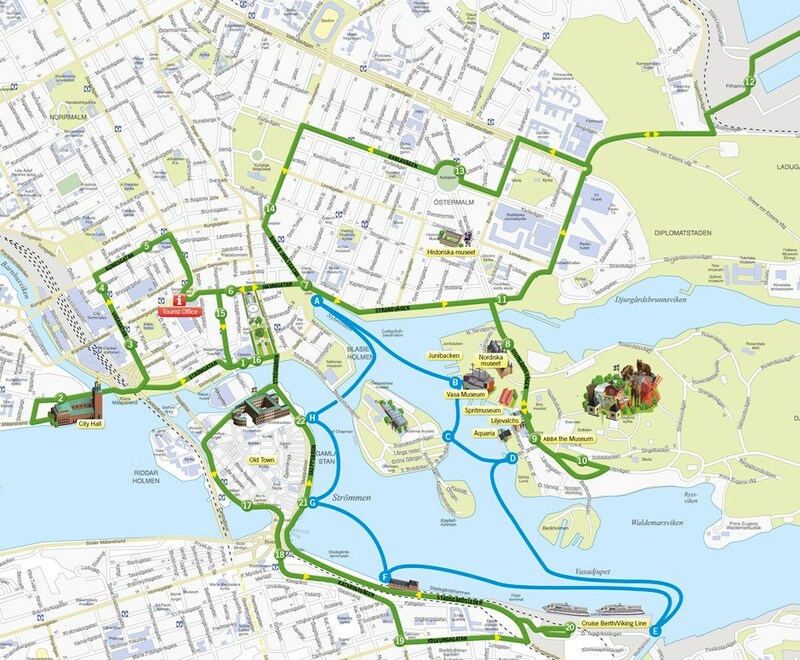 The Stockholm Pass is only valid once per attraction. Note! the hop-on/hop-off bus and boat is valid during all the days your card is valid. The more you experience the more you earn! Because the card is valid for different days, you will earn money by trying to see as much as you can of all that is included in the Stockholm Pass. It may be useful to make a small schedule of what you want to visit and maybe how long time you want to stay on each attraction. One tip is to divide the day into morning and afternoon. We usually see this card as a discount card. The more attractions you visit, the more discount you get. The Stockholm Pass is hourly. For example purchase a 2-day card (48 hours) and activate it at 2PM and the card is valid til 2PM two days later. The card is valid during consecutive days. 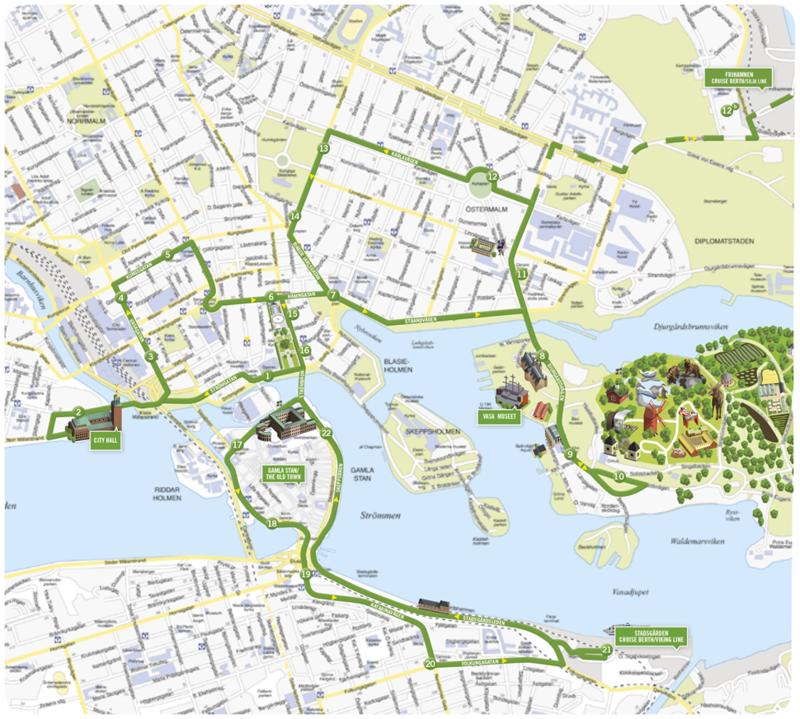 You can visit each attraction once with your Stockholm Pass, exception Hop on / Hop off buses and boats that you can ride on unlimited times during the day/days your card is valid. If you like your Stockholm Pass shipped to your home address this is possible to all over the World. Please allow enough time between placing the order and your planned departure to Stockholm. Shipping cost will apply. The voucher in your confirmation is not valid as a Stockholm Pass. The voucher must be changed to a Stockholm Pass at any of the below redemption centers in Stockholm. Check the opening hours before redemption. The tourist center is located on the 2nd floor, right at the toilets and lockers.. The Stockholm Pass is a valuable document and lost card will not be replaced. As a reminder some attractions and sightseeing can be seasonal and have changed opening hours during the holidays. Please check opening hours on the attraction's website. In some places, you must show your card to obtain a ticket. We reserve the right for any typing error or changes in the content. Popular attractions included in the Stockholm Pass! Images: Own & wikipedia and Stockholm Pass.